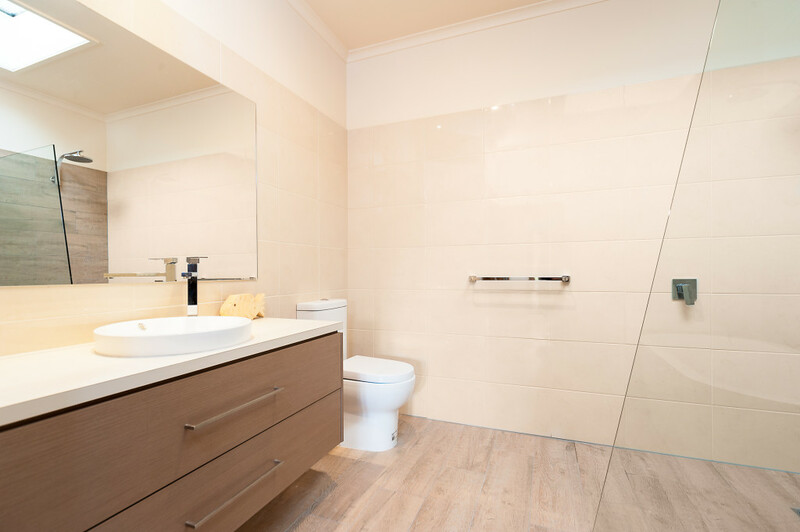 Jacqui originally wanted a ‘safe’ neutral coffee colour tile when she thought of renovating her bathroom. However upon entering our showroom, she was amazed and excited by the vast range of beautiful products that were available. 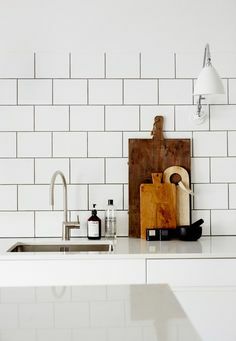 Jacqui first saw the concept of ceramic timber tiles featured on Channel 9’s The Block and loved the idea of creating an organic scandi look. Unsure of choosing the ‘right’ tiles, Jacqui made a CONCEPT CONSULT booking with Paulina from our Design Team and in Jacqui’s words..“with Paulina’s creative and professional eye” she was given direction into selecting a winning combination. 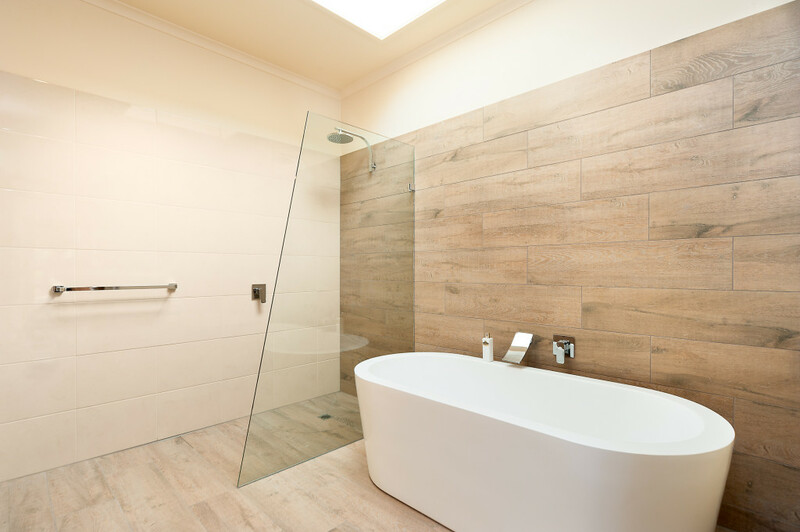 The bathroom features a natural look ceramic timber tile floor and feature wall contrasting beautifully against the white free standing bath tub. 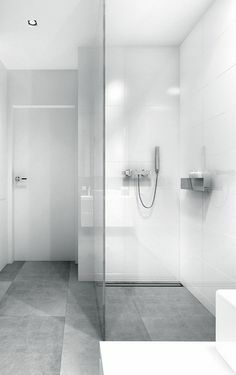 Jacqui loves her frameless shower with insitu tiling, creating a greater sense of space. Paulina also assisted Jacqui in the selection of her laminate colours to compliment her tiles. A CONCEPT CONSULT is not about our designers imposing ideas and their personal tastes, it is about you and creating a space that is your’s, just with the right amount of guidance you require. 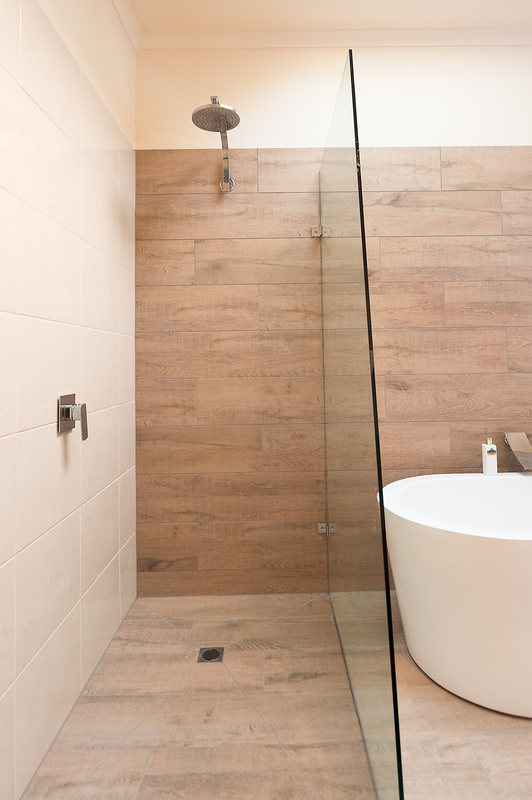 The ceramic timber tile used in this project is the Nature Et Wood 220 x 893 with a soft wash finish. Complimenting the timber look is the Shanghai Tofu Gloss tile 400 x 400. 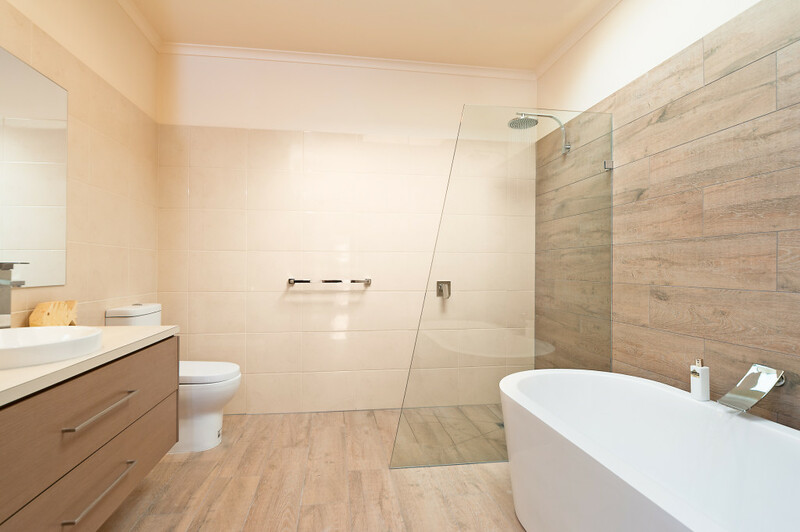 Ceramic timber tiles are a maintenance free, eco friendly alternative to the authentic product, and their advantage is they can be utilised in wet areas, like Jacqui has used, and still providing the look of natural timber. Mick at Flair ‘n’ Square recommended Jacqui to the team at TILE junket (formally Suregrip Ceramics) to help select her tiles. Jacqui was very happy with the workmanship of Mick & his team and would recommend Flair N Square’s services to other clients. 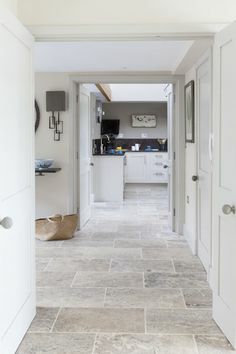 Flair ‘n’ Square are specialists in kitchen & bathroom renovations, specializing in the residential field, dealing with builders and the private sector with equal respect, involving both new and older homes. They have 5 tilers with various level of experiences from apprentices to experience tilers with more than 15 years in the business. Their expertise range from all types of insitu shower bases, floor to ceiling tiling involving ceramic and porcelain ties, mosaics, patterns, marble, travertine stone, stack stone etc. Flair ‘n’ Square pride ourselves in our workmanship, punctuality, starting and completing works on time and friendly demeanor, as our testimonials show. To view Flair ‘n’ Square’s Portfolio of projects, please go to www.flairnsquare.com or you can call Mick on 0416 408 410.